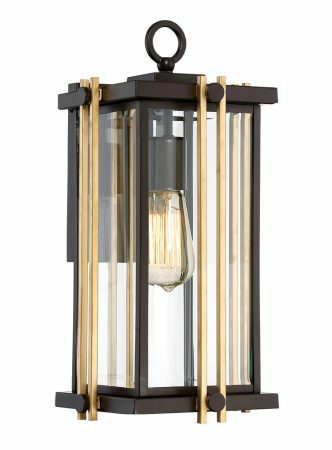 This Quoizel Goldenrod 1 light medium outdoor wall lantern in western bronze finish is rated IP44 and boasts a contemporary take on classic 20th-century style. Featuring a rectangular wall mount and square profile medium hanging lantern, with top eye, clear bevelled glass panels and vertical golden rods. Perfect for any outside wall to welcome visitors after dark and supplied with a 3 year anti-corrosion guarantee. Updated mid-century style for today’s home, the Goldenrod outdoor series is intriguing yet classic. The rich western bronze finish is accented with stripes of lustrous gold metalwork and the bevelled clear glass panels are in keeping with the overall design. Please note that the golden rods can be removed to simplify the design or refinished to create an alternative look. There are matching fittings available in the Goldenrod lighting range that can be viewed by scrolling down this page. This exterior light is supplied by Elstead Lighting and designed in the USA by Quoizel, founded in 1930 in New York. 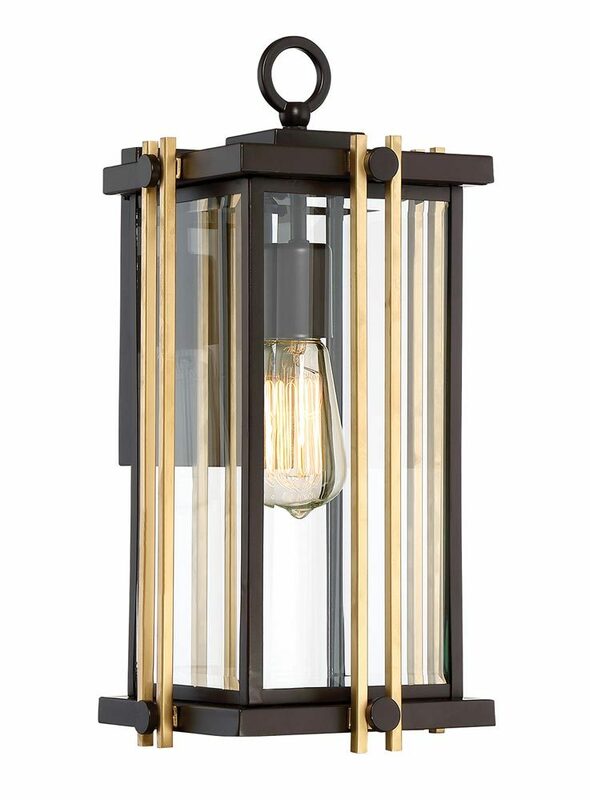 Their designs embody a history of being artisans in glass and natural materials that illuminate your living space and enhance the beauty of your home, such as the Goldenrod 1 light medium outdoor wall lantern in western bronze finish and rated IP44 featured here.